Base Ten Block Comments And Testimonials. Well this was pleasant. You can find it here not on my testimonials page. It would be nice if a few more of you put up some comments/testimonials. 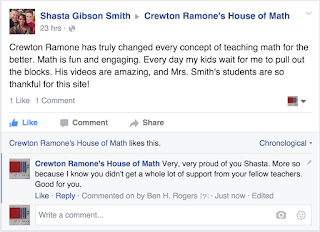 Because of course I think Crewton Ramone's House Of Math great but who cares what I think, lol! People want to hear from YOU. People who have used it, paid money for passwords and blocks have some experience. Of course they are skeptical. They should be. 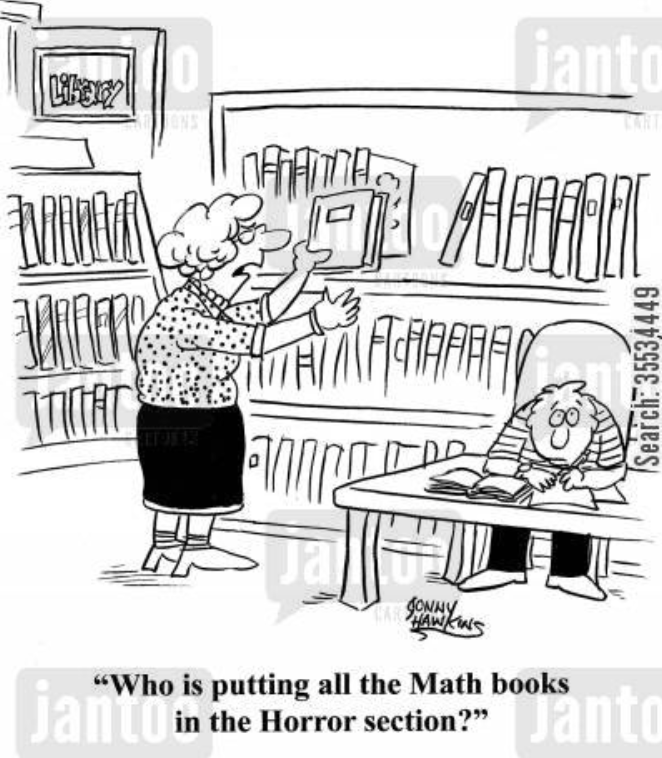 Math has always been a mystery and hard and their own experience tells them math is anything BUT fun. 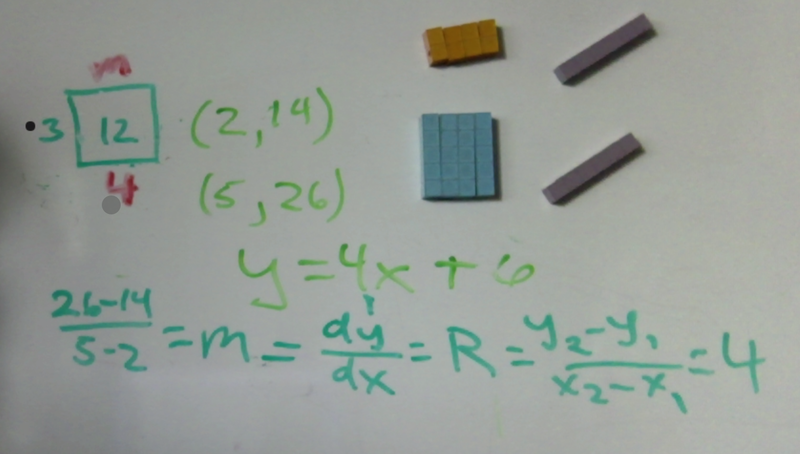 I find math kits and books that are squeaky clean never been used...which is sad because the blocks properly employed are powerful tools AND they are FUN. 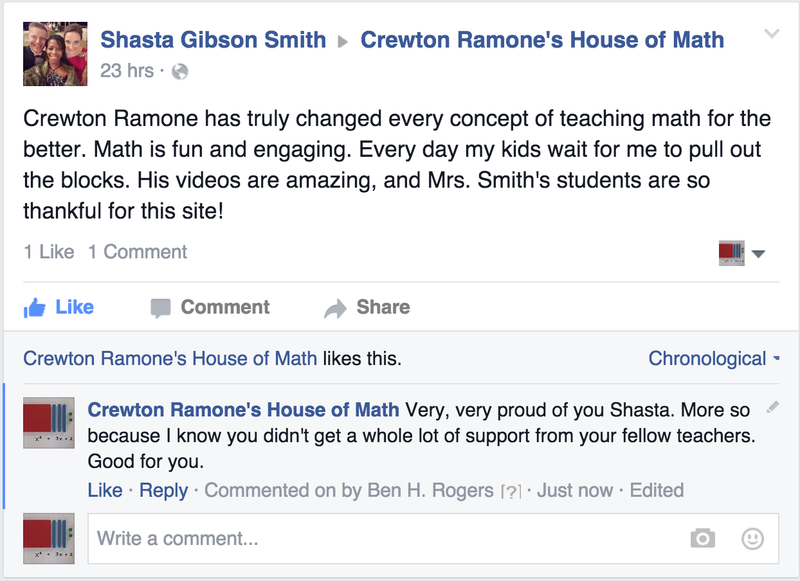 They make learning math fun and easy. 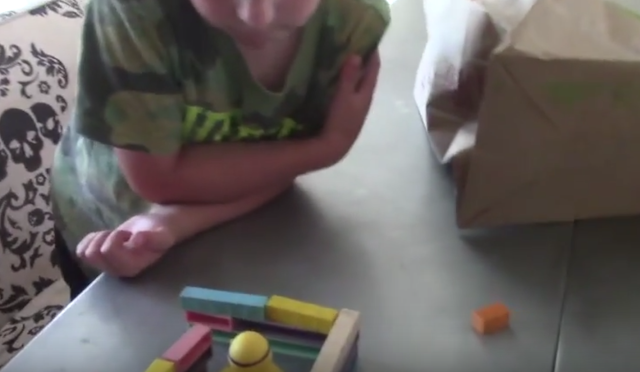 Learning through play is a natural thing for little kids. 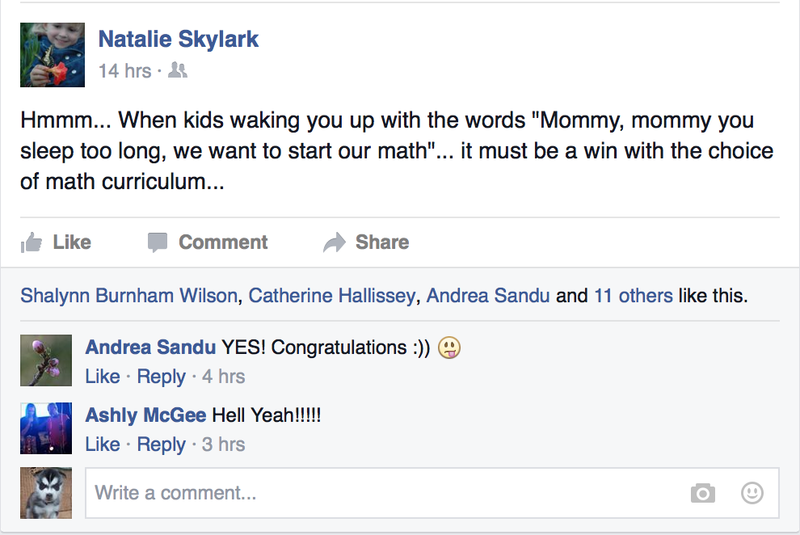 Many parents have forgotten how to have fun and play, even less when it comes to math. But slowly but surely I am hearing more of these stories, which is pleasing. But again I am not the one who needs to hear these stories, OTHERS do. I've known this for more than two decades. But up until quite recently there was no one showing people not just the HOW but the WHY. And more than, that not just the theory, but theory in practice via video and screencasts that you can watch as many times as you want. I also do training that as you can see from people's comments quite literally BLOW THEIR MINDS. Because it is my hallucination is that math is EASY and fun and I often end up getting groups of people to hallucinate with me. Part of the reason prices are going up is because people have the mentality that if prices are low it must not be worth anything. When I was selling passwords for a buck I could not make a sale. When I was selling them for 5 bucks I got a few more. When I started selling them for 150 bucks suddenly I was selling lots of them. This is ridiculous to me but my marketing people and a in addition to them, a billionaire explained it to me in no uncertain terms. Perceived value. Fine. However, YOU can add to that perceived value by commenting, "liking" other comments and posting your experiences on social media. But either way apparently if it's not $500+ it must not be worth anything as a math curriculum. So very shortly prices will go up. They are telling me to raise prices as is. Anybody that has been here for a while knows every time I raise prices I give you even more stuff on password protected pages and more "content" in general. Those who were clever enough to get a lifetime way back when they were $100.00 have written to thank me more than once and occasionally send me money too. Which is really really really appreciated. Most people even at $249.00 are AMAZED at how much bang they get for their buck...and I'm only just getting started. YOU are the most powerful force. People don't come because of me exactly; they come because of you. So your continued support via comments, shares likes etc is much appreciated and indeed needed for growth. And the more it grows the more pages and content I put up. I promise I will never rest on my laurels. Too much math to do. I have to walk a fine line because I want to compensate people for spreading the word but at the same time paid testimonials are not worth as much as "organic" ones. So I am looking at an affiliate program where if they pay for a course because you recommended them you will get compensated. It will be non different from you telling them about a good movie except when they go see it you get a small portion of the ticket price....and my movies teach them math or how to have fun teaching math. So everybody wins. People have found that the more money and customers I make and get, the more content they get. I am also still selling combo kits that as I have said have barely been used if at all but mine come with passwords and training...my reasoning is simple. The reason they are so pristine is because they never got used. They never got used because mom and dad didn't know how to use them or how powerful (and fun) they could be. So if you get a kit from me you don't just get a kit you get passwords and some VIDEO TRAINING. By the way IN PERSON training is happening in Dec. DETAILS HERE. For these crazy super mondo deals go here. 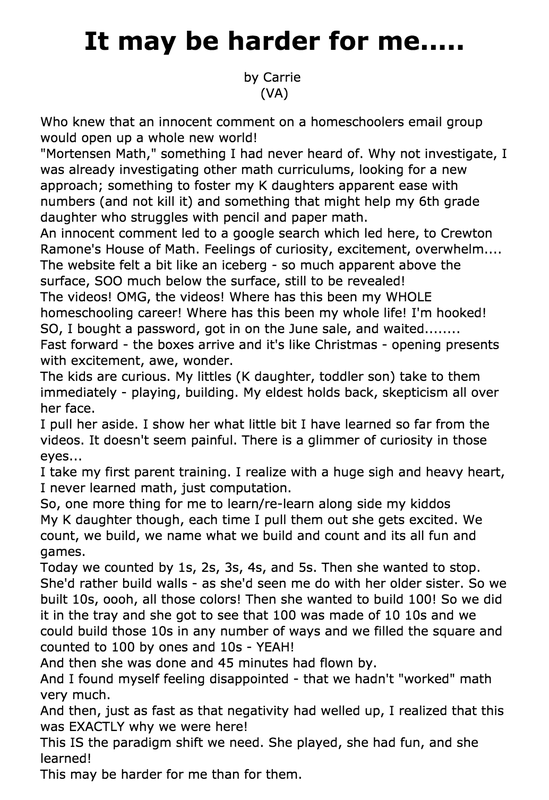 Just think, just by sharing you experience you might inspire others to share theirs, which might in turn help a child or entire family avoid a lifetime of fear and frustration with mathematics, just because they decided they might give it a try. Or maybe they are on the fence and yours is the comment that resonates and pushes them over. Thanks to all the people the give spontaneous testimonials via email and FB. Here are a few pages that could use comments from YOU. Thanks to people like Anna and Kirk and Lisa and many others who post comments on a semi-regular basis. Here is your chance to join them. Note that doesn't say "school," it says "district." I will put more comments boxes on more pages in the future. If you can't make a comment because you are shy or whatever then please put a like on some body else's so people can see it's not just four guys in a room pretending. People who actually use this get results, and as you can see, they get GREAT results. Shasta could use more training but even without it she is getting test scores well ahead of her peers. Shasta is a motivated young teacher...and she has found that these blocks combined with my methodology make for a winning combination. If you use the methods I have outlined in these blog posts and on my website you will find that you have great successes too. 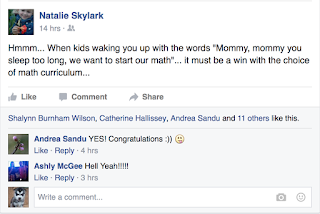 Playing math often means learning math without really knowing you are learning math....when you are four or five. In this case we learned a lot of math, addends specifically, without worksheets without pencil, pens or paper. We just built a house for a duck and as an added bonus got a few more repetitions for these addends added to the long term memory. 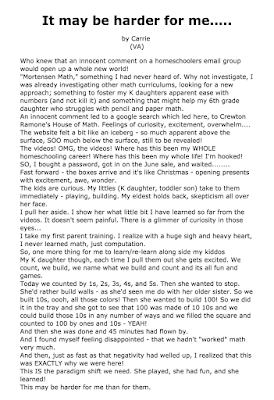 It takes many repetitions starting at an early age to get math facts (or any facts) into "the long term memory" and available for instant recall, but as you will see it's easier when they are younger and here is WHY. Where most of you err particularly with multiplication is you try to cram the number of repetitions into a short time frame usually well after the brain is out of the "download mode". This can be effective but it has been my experience that this can also cause a host of problems particularly when it comes to math anxiety and attitude toward math in general. Instead of a fun and exciting language that underlies ALL of science and explains the universe around them via the physics and chemistry and biology it becomes drudgery and something that requires a lot of mental effort to memorize a host of math facts that don't seem to go together. Using base Ten Blocks to Make A House For A Duck, You can also see a math bag in the background because we played what's under the cup too. We had fun while learning basic addends less than 10. What you want to do is make positive associations with mathematics and avoid having to pound math facts into your children. This is what happens when you wait until they are past the age of 7 or 8 to teach them math. The very basics, 45 addends and 400 multiplication facts are learned easily before the age of 7; it is much harder after this age because the brain state has changed. 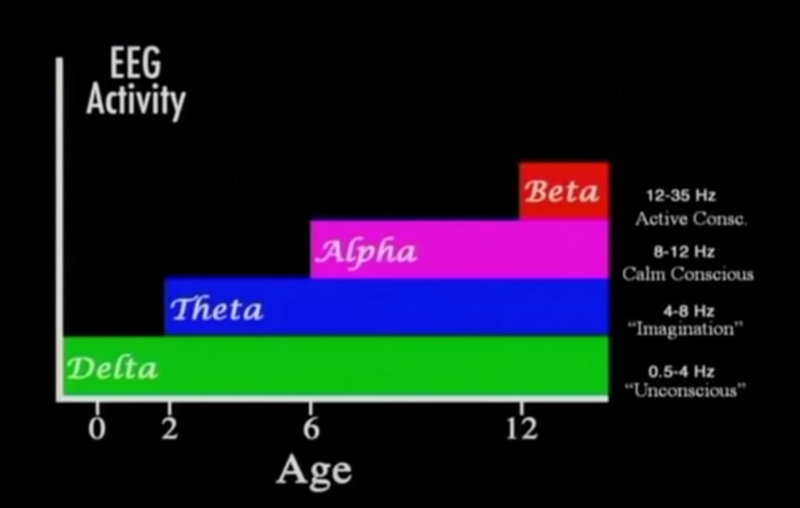 When the child is naturally in "theta", they are basically in download mode. Learning anything is easier for ANYone while in theta, there is an entire industry dedicated to selling audio technology that puts the brain into these states for "super learning"...being happy and unstressed adds to this ability to learn easily. I cover this in Parent/Teacher training. Removing "the NO" from the lesson is important because "NO" is a charged word that has all manner of negative associations attached to it even by the age of 5. 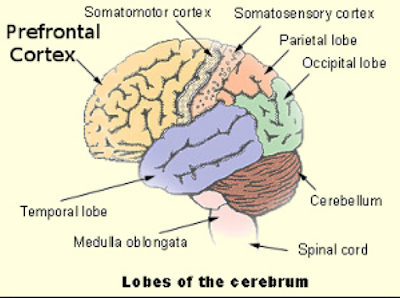 Just hearing "no" is enough to make some children mad or sad or angry which activates the reptilian brain (cerebellum) which shuts down the prefrontal cortex which activates the fight or flight response where blood is pushed into the limbs NOT into the part of the brain that facilitates learning or higher order thinking. By age six or seven "downloading" is no longer the default setting as it were and they begin spending more time in alpha and then by age 12 beta (and with training Gamma, a state not shown here and a state associated with "miracles" and the "paranormal" and other psychic abilities not easily explainable by modern science but which can be achieved with "practice."). Logically the best time to teach a large amount of factual information is in the early years when it is easy down loaded or assimilated. The names of states and their capitols, Presidents, the ABC's and of course math facts like 7x8 and 17 squared are easily learned and stored in the subconscious for easy recall at earlier ages. And if you make a game of it and make it fun, the learning is easier still. Play math. Not worksheets. At Crewton Ramone's House of Math as with Mortensen and Montessori, we emphasize whole brain activities...using both hands for example is VERY important, but can you also see that involving the other sensory cortexes would make learning easier? This is because we use more of the brain. This has been borne out by research at major universities. This seems obvious to those of us that use manipulatives to teach math but quite a few others are only just now discovering that the more senses you involve the easier learning is. WHEN you teach is also an important factor...as the child gets older more repetition is required to put information into the sub-conscious mind to be made available for instant recall. In other words the older the child is the harder it will be to memorize multiplication tables...learn a new language or most any subject. This does not; however, mean it can't be done. Obviously, it just means it will be harder, take longer, and often involves a lot of tears and frustration. 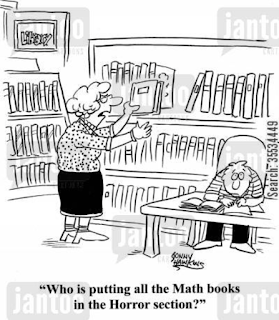 Any student properly motivated and who is relaxed and happy can learn math at any age. I have proven this repeatedly for over 25 years with students of all ages including adults. But it is FAR easier if you get them young because by the time they are teens many factors are working against you, brainstate being primary among them but as you know, attitude and motivation may be lacking by the time they reach their teen age years, plus there is the added conditioning of past failures and the thought that math is hard instead of something easy and fun. Here is theory in action. He sees the math facts. He hears the math facts. He experiences the math facts. He has fun. I should have put the camera on him when he told his parents he was done because you could see the satisfaction and pride in the smile on his face. Such a simple thing building a house for a duck, but terribly important for you to understand that through play we learn math, sans tears or fears and without "robbing them of their childhood", but instead making life far easier for him and others like him down the road. Once (while) addends are mastered, multiplication which is just repetitive addition also becomes easy and we lessen the chance of losing them to multiplication tables and the stupidity that is the way we currently try to force feed students math at a late age. Come join me on facebook. Share and like this post. Live Training In San Diego. Stay tuned for more details and come back and check on this post as I get more info for you. We have special opportunity to do get together for a live training because we have a host who is willing to cover many of the costs and logistics for a meeting room and travel for me. Although Nubes and beginners are welcome, try and have gone through the material on the parent teacher training page and try and make a training between now and then if possible. Meeting room holds 75, so accommodating you will be no problem. So on Dec 4th, 5th and 6th I will giving a live Playshop/Training. 2pm to 6pm: Welcome and introduction. 7-10pm :Basic Operations with combo kit and time permitting basic ops kit. 8 to about noon. This session is sually left up to the attendees to decide what they want to cover in that time now that they have some experience under their belt. This way you only have to spend two nights in a hotel. Which should run around 150 or less per night. If you guys coordinate you can cut that cost in half. The Best Western is basically walking distance to the Yacht Club..
$350 pre-pay "early bird special" This is per couple as in married couple if you have a well behaved child or children in your family they may also attend under this price. Two people who are not related from different states are not covered. This is for husband and wives significant other etc. Not two teachers trying to cut costs. Save that for you hotel. CHECKS made payable to Ben H Rogers sent to my address (see my website just scroll down) are the preferred method of payment if I need to make paypal button let me know, but I prefer a check in this case. "So, I have organized for CR free lodging and a free waterfront conference space so these normally incorporated costs are a non-issue for this event. I will be hosting a Saturday evening BBQ-mixer on the waterfront so we will have a better chance to get to know one another and chat with CR. Normally we have beautiful weather in December. I hope this helps in your decision making process. Please contact me privately if I can help to facilitate your participation since I know the area. I can help to arrange lodging or offer suggestions. Also she has offered to pick people up from the airport if need be and had opened her house to several people if they wanted a place to stay. Those I have been told are already taken but there are MANY inexpensive places to stay nearby. Contact Alex to coordinate and facilitate this.In order to contact her contact me because webcrawlers will pick up an email address off this blog and then she will get endless spam. So contact here, Or on FB. This is a great opportunity to get live training and questions answered on inexpensively. The last training I did was $500.00 for the early birds and you had to get to CDA Idaho which required renting a car in addition to catching a plane to Spokane. Sand Diego international is right there. We'll pick you up. At the moment we have 4 people confirmed...so it is ON. I don't expect many people so it will be "cozy" and you should be able to get questions and answers...unlike some training where there are 200 people and it was very easy to get lost in the crowd. There may or not be another one of these in 2016 I was not expecting to do live events again until 2017...so "I'll catch the next one" may be awhile before the next one. The Best Western Plus Island Palms Hotel & Marina costs about 150 a night after fees and taxes etc and is walking distance. The idea being you don't need to rent a car unless you WANT to.